The groundwater we are extracting from the Cape Flats to augment drinking supply and make us more drought resilient, is too polluted to use without it being treated. 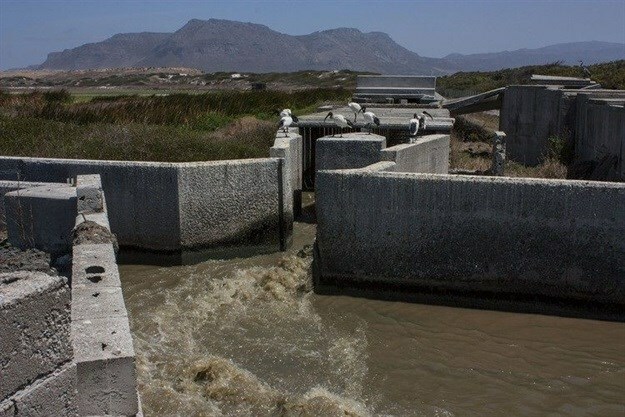 According to the City of Cape Town’s Water Outlook Report of 31 December, drilling and testing during 2018 revealed that “in general”, the water from the Cape Flats Aquifer “is not suitable for immediate human consumption and must be treated to potable standards before it enters the reticulation system”. This results in higher costs per unit of groundwater. The aquifer stretches from False Bay to the Tygerberg hills and to Milnerton. The target is for groundwater from the aquifer to contribute up to 48 million litres (Ml) per day - almost 9% of our drought restriction targets of 550Ml per day - by July next year. Initially, according to the city’s report, it was hoped that potable water could be pumped out of the aquifer by September last year, but this was re-assessed after good autumn rainfall and estimates of the cost of treating the water before piping it into the drinking water system. The boreholes producing the highest yields are the most polluted. To date no water from the aquifer has been used to augment the supply of drinking water supply. What the city’s report does not state is the level of pollution in the aquifer, nor the sources of pollution. The city has not answered questions on pollution and the extra cost of treatment sent by GroundUp eight days ago. But a number of studies of the aquifer, dating back to 2006, indicate the pollution comes from landfill sites, waste water treatment works, storm water runoff, informal settlements, agricultural runoff, and cemeteries. Leakage from underground fuel storage tanks is also a source of contamination. All of these, except agricultural runoff and fuel storage, are part of the infrastructure managed by the city. In 2006, which is the year the DA took over municipal governance in Cape Town, Segun Adelana and Yongxin Xu, in their paper Contamination and protection of the Cape Flats Aquifer, South Africa, identify pollution sources, and call for protection of the aquifer. “In the Cape Town Municipality contaminant sources related to human settlement activities are cemeteries, storm water and wastewater systems,” said Adelana and Xu. They said water was leaching from groundfills into the aquifer and the lack of sanitation in informal settlements also meant groundwater was being contaminated by pathogens from human waste. Their findings are backed up in a 2008 modelling of the aquifer which was prepared for the Department of Water Affairs and Forestry, as it was then known. A 2015 report on the aquifer by water resource development and management consultancy Umvoto confirms the 2006 findings. “This large resource of groundwater has deteriorated over the past decades and is now non-potable in certain areas, with varying levels of contamination. The deterioration is due to a combination of pesticides and fertilisers from agricultural practices, wastewater treatment plants, informal settlements, unlined or leaking canals, leaking sewerage pipes in some areas and, storm-water runoff,” says the report. The 2015 report also notes that the Lotus River and Kuils River systems, which recharge the aquifer in winter, are among the most polluted river systems in the city. This is confirmed by the city’s own State of the Environment Report of 2018, which reveals the Lotus River system failed the minimum guidelines for intermediate contact (such as kayaking or sailing) for ten months of the year. The Eerste/Kuils River was suitable for intermediate contact for less than five months of the year. The city’s Five-Year Integrated Development Plan for 2017-2022 recognises that Cape Town’s natural resources are “increasingly at risk of depletion and degradation, and action needs to be taken to ensure their proper management and, therefore, their continued availability”. And the city’s Climate Change Policy approved in July 2017 notes the need to monitor Cape Town’s air and water quality (drinking water, sewage effluent, inland and coastal waters, estuaries, and groundwater) and “take appropriate legal action where required”. However, it is very hard to find out what monitoring is in fact taking place, as the city stopped publishing its twice-yearly Inland and Coastal Water Quality Reports in 2013. Mayco member for water and waste services Xanthea Limberg maintains that the results of these reports are publicly available because they are presented at catchment management meetings and to Protected Area Advisory Committees. However, the report presented to the Zandvlei committee, for instance, details only the test results for Zandvlei. There are no results for other water bodies. GroundUp has not been able to determine whether committees of this sort exist for the Lotus River or Eerste River/Kuils River system. And when GroundUp requested a report on all the water bodies tested by the city, Limberg said a city-wide report could not be made available, only results for specified areas. Artice produced for GroundUp by West Cape News.